Shake up your Traxxas Slash or Traxxas Rally with this new 1956 Ford F-100 Pro-Touring Street Truck Body from Pro-Line. Dripping with old-school coolness, this retro pickup truck body features classic lines that are blended with smooth aerodynamics. Molded out of durable polycarbonate, this body is designed to withstand general bumps and scrapes, all while maintaining it’s classic look and visual appeal. The body set includes pre-applied overspray film, window masks, and a full decal sheet. 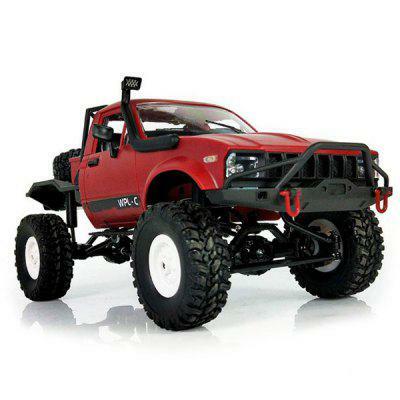 To fully mount this body to your Traxxas Slash or Traxxas Rally, you’ll need to add on 2.8″ wheels and use Pro-Line’s extended body mount kit. Priced at $39.06, the Pro-Line 1956 Ford F-100 Pro-Touring Street Truck clear body will be available online and through Pro-Line dealers. Visit prolineracing.com to learn more about this new R/C body option. Save 10% on your next order at prolineracing.com with coupon code RCNEWB10.